Technology has played a vital role in the evolution of the banking and finance industry. Advanced Technology has completely changed the way the banks operated. It has made the life much easier for the customer and the banking officials. When we talk about the technology it’s not only about the online transaction, internet banking, banking apps, online stock transaction etc. It is difficult to overstate the importance of data in today’s economy. There is so much data around us – from mobile phone usage, social network activities, web browsing, e-commerce shopping behavior, credit card history, payroll, email, biometric data, behavioral data and much more. Nowhere have big data and data science been more effective in creating change than in the banking and financial services. 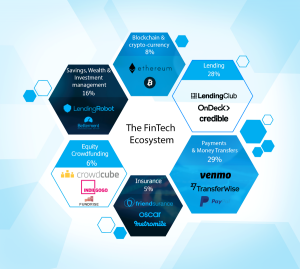 Fintech has radically modified the financial landscape by facilitating the big data applications and complex calculations to financial decision making. 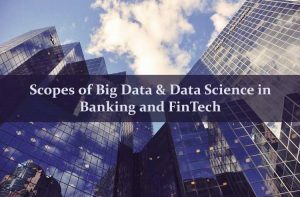 In this post, we will look into the Scopes of Big Data & Data Science in the Banking & Finance (FinTech) Sector. Big Data is described as the large volume of data both structured and unstructured. It is a data whose scale, variation and complexity require new techniques, algorithms, and analysis to manage it and extract hidden knowledge and value from it. Big data is a very big data due to the introduction of communication means like social networking, online banking and financial transaction etc. Every year the amount of data produced by people is growing rapidly. The amount of data generated by humankind in the beginning of 2003 was 5 billion gigabytes. The same amount is created in every two days in 2011 and in every ten minutes in 2013 and in every sixty seconds in 2015. At present, the world generates around 2.5 quintillion bytes of data every day. This rate is growing rapidly and all these data generated is meaningful and can be utilized if processed with right tools and techniques. The banking industry is among many industries which have massive and useful data about their customers but very few banks are utilizing this set of information to enhance the customer experience and using the data information to prevent fraud. The banking and financial industry is very well aware of the fact that if the data can be used effectively they can fulfill the needs of customer accurately. According to research, only 37% of customers agree that banks understand their needs and preferences. Banks have an ocean of informative data but the challenge is how to use that data smartly, shortage of skilled people, unstructured vast data, high cost associated and much more. But gradually banking sector has started applying the Big Data technology in every sector of it and started taking benefits of it. Some industry experts expect a sevenfold increase in the volume of data, before 2020. Big Data promises huge impact on the banking and financial servicesand will propel it into the 21st century. This is the reason Big Data Analytics is in high demand and become essential in making the business decision and providing the biggest edge over the competitors. Big data technology is helpful for both companies as well as professionals in the Analytics domain. 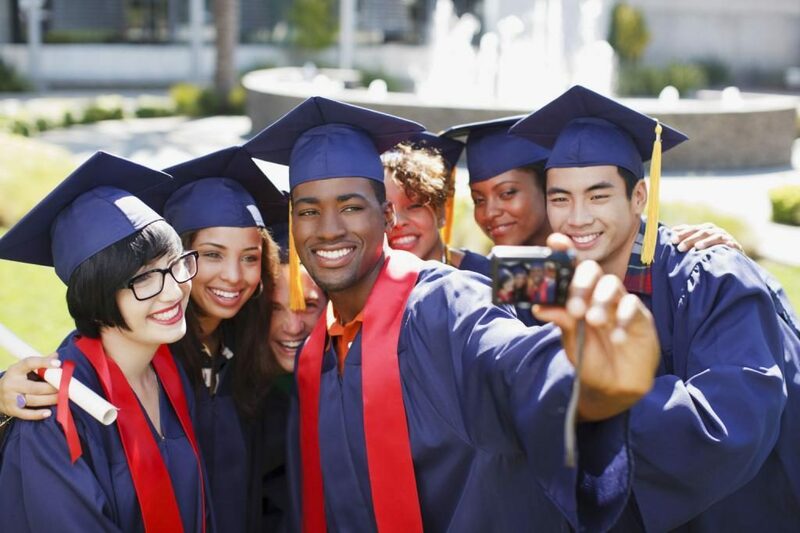 There is an ocean of opportunities out there for skilled professionals, in Big Data Analytics. 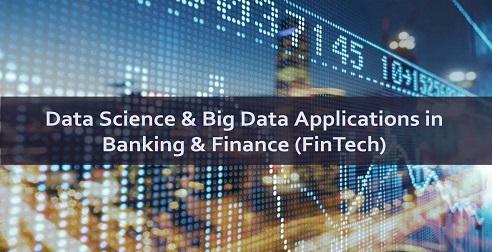 Below we will discuss the major scopes of Big Data in Banking and Finance industry in the present and near future. 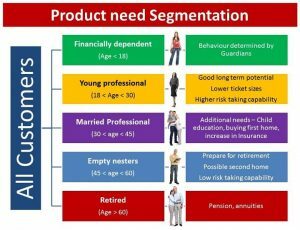 Customer segmentation is classifying the customer on the basis of the age, gender, behavior, habits etc. The banking industry has agreed that customer retention is a key to company’s success and are becoming more customer-centric with the help of big data technology. Big data analysis help the banking and finance services to analyze the spending pattern of an individual customer which help them to offer services time to time to their customers. Big data analysis also helps in identifying a valuable customer, one who spent the most money. 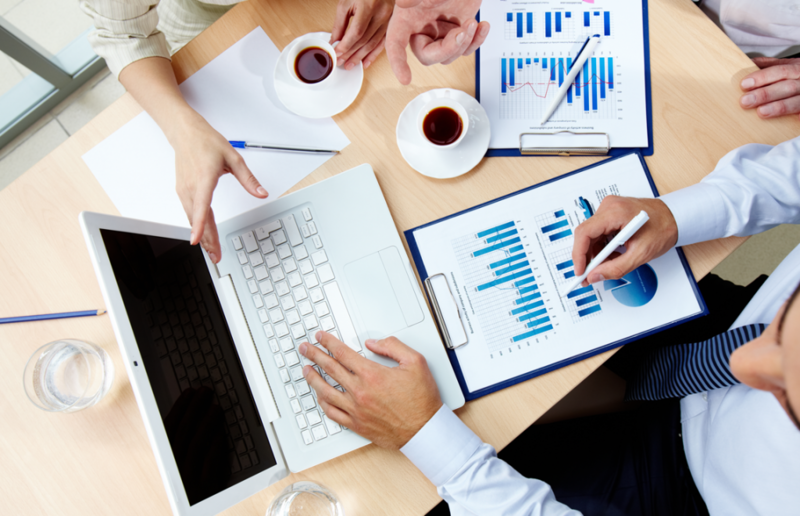 And through this data analysis, they can provide best financial offers to the customer to make them feel more valuable. This ultimately will lead to increased customer satisfaction. Additionally, it will also help the bank understand the spending patterns of the customers, channel usage, and consequently cross-selling of various products. This is one of the biggest problems that every banking industry has been facing. With the increase in an online transaction, the incidents of fraud have increased too. 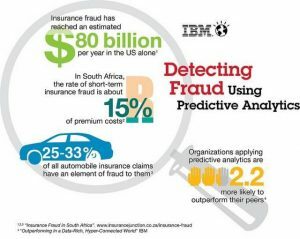 To avoid such fraud the banking industry is using the big data technology which helps them to understand the financial history and spending pattern of customer and increase security on every unusual transaction. This will help them to mitigate any fraudulent activities before it grows bigger. 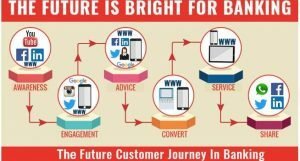 Offering Personalized Services to a customer is nothing but the next level of marketing where they offer product and services to as per customers interest and requirement. Yes, it is possible with the help of big data analysis. 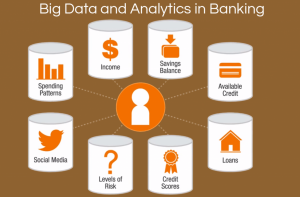 Banking industry collects data from e-commerce website and Big data technology analyze the buying habit, interest and requirements of individual customer by doing sentimental data analysis. This big data analysis help the company to offer services and products to the customer time to time as per their interest and requirements which help them to retain the present customer and attract the new one. Risk Management is an important factor in every industry and risk in the banking industry can come in any form like an unrecoverable loan, failed investment, and fraudulent activities. It cannot be stopped completely but the early detection of risk can be helpful in preventing huge losses. With the help of big data analysis, they can perform the risk management analysis and can minimize the company’s risk. Banks and financial services are required to do regular compliance, audit and maintain certain regulations for their data, finance, privacy and security measures. Banks now have access to billions of customers’ needs. 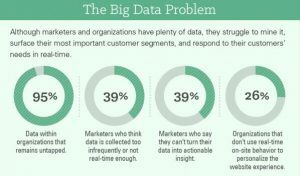 They can use Big Data to cater to serve the customers more effectively. Cloud-based analytics packages can sync in real time with your big data systems, creating actionable insight dynamically. Big data can also help in analyzing the data and finding the situation where financial crisis or security issue may occur. Data Science deals with structured and unstructured data. In principle, everything that relates to data cleansing, preparation and analysis lie within the scope of Data Science. Big Data implies huge data volumes that cannot be processed effectively with traditional applications. Big Data processing begins with raw data that is not aggregated and it is often impossible to store such data in the memory of a single computer. Data Science looks to create models that capture the underlying patterns of complex systems and codify those models into working applications. Big Data looks to collect and manage large amounts of varied data to serve large-scale web applications and vast sensor networks. According to NYU definition, data science is all about using automated methods to analyze massive amounts of data and to extract knowledge from them. So, the key is extracting knowledge. As we all know, data is now the most valuable resource and the new currency. As per the recent blog post by Chris Skinner, the banks must apply big data analytics and machine learning to gain deep customer insights and survive. So, the banks need the best talent pool of data scientists and big data analysts. According to Glassdoor’s annual 50 Best Jobs in America (2017) report, data scientist jobs bagged the top spot for the second consecutive year. 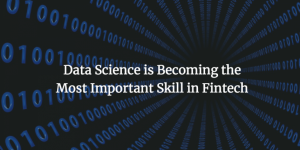 According to the Lend Academy, data science is becoming the most important skill in fintech. Hence, data scientists are no longer a luxury to have, rather must for the banking & fintech organizations. So, all you present and future data scientists, you know now where to look for jobs. 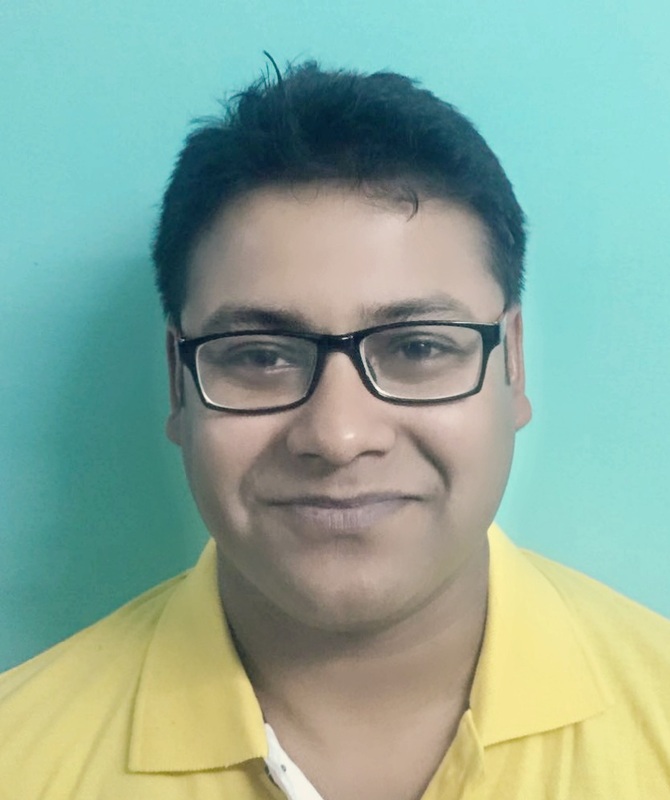 As per Cofounder and CEO of CA headquartered Fractal Analytics, Srikanth Velamakanni, “the size of the analytics market will evolve to at least one-third global IT market from the current one-tenth in the next few years”. The skilled professionals who are trained and experienced in analytics are in high demand as the companies are looking to implement the big data technology in every sector of it. 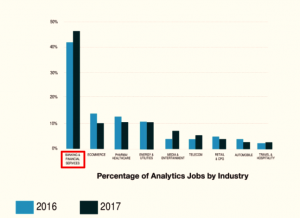 The number of jobs has increased in analytics filed in last 12 months this is due t the implementation of big data technology by more and more companies. According to Srikanth Velamakanni, co-founder and CEO, of Fractal Analytics, there are two types of talent deficits: Data Scientists, who can perform analytics and Analytics Consultant, who can understand and use data. There is an increase in the demand for the skilled data analytics but huge deficit on the supply side in India. The talent supply, especially for Data Scientists, is extremely scarce and the demand is huge. Due to strong demand for data analytics and deficit in supply, the salary is no bar for the right skilled professionals. Randstad states that the annual salary hikes for Big Data Analytics professionals in India are on an average 50% more than other IT professionals. The report also states that 14% of all analytics professionals get a salary of more than Rs. 15 lakh per annum. More importantly, the number of available jobs in the banking and financial services are way more than in the other industries. Have a look at the figure below. As per Glassdoor India, the median annual salary for data scientists is INR 650, 000 across all sectors; whereas, the same for data scientists in the financial services sector is INR 825, 600. In the US, the average annual salary of data scientists is around USD $130, 000. But, data scientists in the banking, financial services, and fintech earn an average annual salary of USD $168, 000. In fact, if you end up on the Wall Street, you can earn up to USD $1 Million as a data scientist in a year. So, how to build a career in data science and big data analytics? 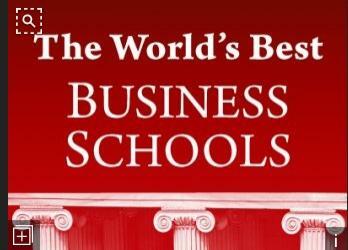 The following articles will help you to get more insights.